Unrestricted Annual Appeal gifts support virtually every aspect of the school - student scholarships, library and classroom resources, technology, athletics and the performing arts. These funds help provide enrichment programs and the academic extras that tuition dollars do not cover, and allow the school to address needs as they arise. Tuition cost is set lower than the true cost to educate each student as we work to keep tuition affordable for our families. 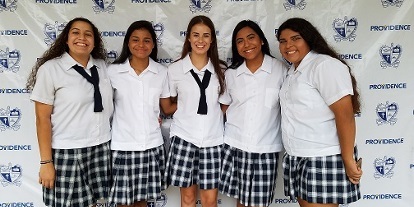 Since tuition and fees do not cover the full cost of an education at Providence, gifts to the Providence Annual Appeal help bridge the gap between tuition income and the actual cost of a Providence education. Thank you for your support of our future leaders as they prepare to Change the World!